Two more Big Books on SESAME STREET®! Everyone loves something. Just as babies love music and Bert loves pigeons, just as piggies love mud and the Count loves to count, Elmo loves . . .you! 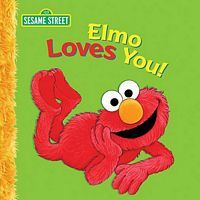 A sweet poem from Elmo to his equally adoring fans.